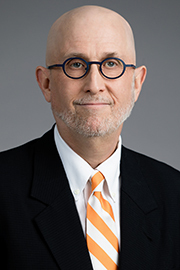 NEW YORK – Richard W. Berne, a partner in the New York City office of Quintairos, Prieto, Wood & Boyer, P.A., were granted summary judgment and case dismissal at the Nassau County Supreme Court on behalf of their client, NPS Grocers d/b/a Bravo, et al. Plaintiff alleged she slipped on something shiny and fell while shopping in the insureds’ supermarket. It had been raining intermittently the day of the occurrence, and plaintiff conceded at her deposition that her jacket was wet and that she was carrying a wet umbrella. Plaintiff testified that she had walked the same aisle immediately before she reversed her path and then slipped. She could not identify the substance but testified that it was wet. Plaintiff alleged that she tore tendons in her shoulder, and sprained both of her knees in this fall. The defense argued that the insureds were not liable as a matter of law based on the following: 1) Courts routinely dismiss actions based on a watery condition in a store during an ongoing rainy condition; 2) plaintiff could not establish that the insureds had either actual or constructive notice of the condition, and plaintiff could not prove that the insureds caused or created the condition; and 3) plaintiff was unsure about the exact nature of the cause of her fall and therefore to assume it was from water would be speculation. Plaintiff argued in opposition that defendants had offered no evidence as to the last time they had inspected or cleaned the particular aisle, that the record provided enough particularity on the cause of the fall, and that defendants had not sufficiently established that any water in the aisle was tracked in from the rain, as opposed to coming from some other source. In reply, the defense focused on specific portions of the record that supported the initial argument. On October 23, 2018, the Court granted the motion, dismissing the case. The Court found that defendants had established there was no evidence that a watery condition existed in the store, and that defendants were not on notice and did not cause or create the condition.